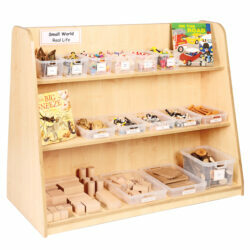 Let children’s imagination flourish as they make believe and explore whatever they want to be. 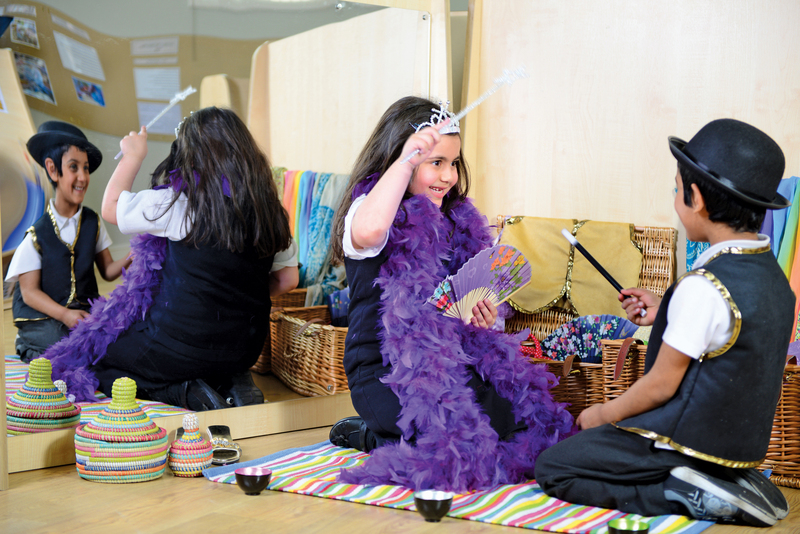 With this great range of interesting costumes, props and artefacts, children will relish the opportunity to dress-up and bring their ideas to life with this complete role play make believe area. Children can be a magician, a princess, go to a wedding or visit the shops – everything is possible. 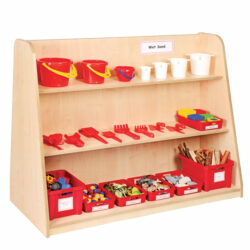 Children are free to express their ideas and be as imaginative as they like. They can create make believe stories and re-enact many of the situations, people and emotions they meet every day through the story books, TV and films they encounter. 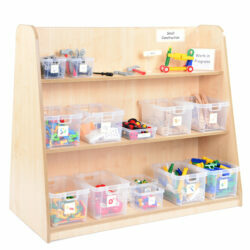 This role play unit is designed to display a selection of clothes and props. 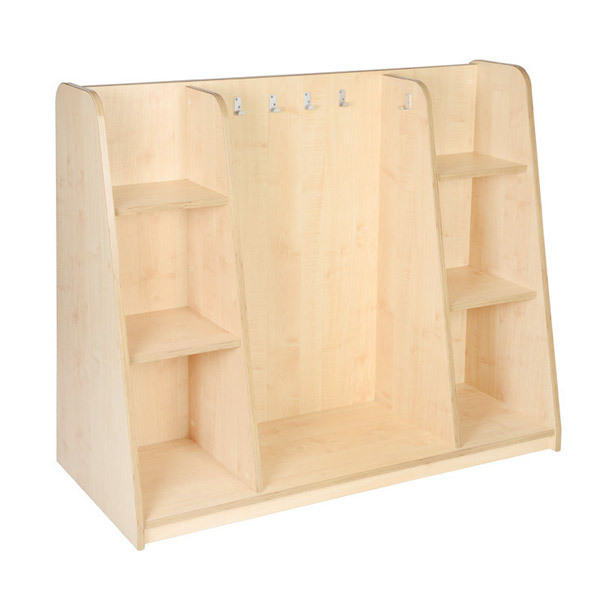 Small compartments display props for key themes and the hooks provide ample space for hanging jackets and capes. Set of Wands – including a Fairy, Magician and a Wizard, there’s a wand to suit every tale. Set of 3 Hats – A hat can simply turn a child into a story character from another place and time. This set has three hats to choose from, and many characters to be! Including a flat cap, bowler hat and top hat. Set of Summer Hats – including a straw hat and trilby hat, these two colourful children’s summer hats may inspire a trip to the seaside or the park. 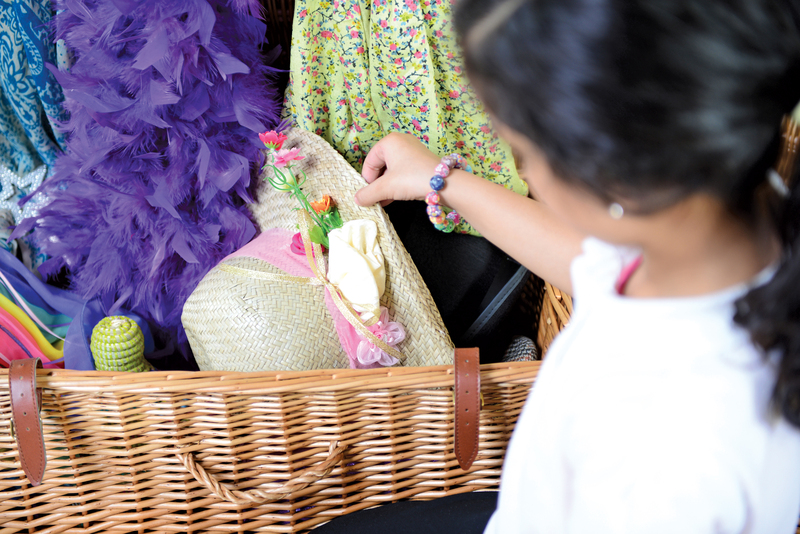 Summer Basket and Handbag – Pack up a picnic or visit grandma’s house in the woods with this traditional basket. 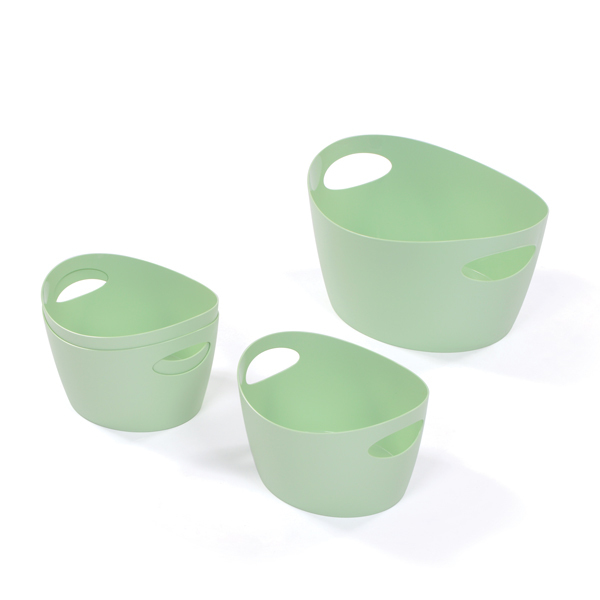 Set of Mini Bowls – A set of 3 small colourful bowls can be added as story props such as porridge bowls for goldilocks’ three bears! Red Velvet Cloak – For good or bad, this glorious red hooded velvet cape could be just what is needed to disguise the wicked witch or for red riding hood to wear on her way to grandmas. 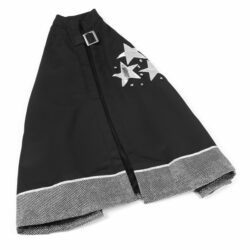 Black Magicians Cape – This shiny, black cape is just ideal for a magician’s show. Turban, Basket Pot & Carpet Set – Multi striped carpet – 60 x 90cm. Set of handwoven multicoloured baskets with lids, small 11cm and medium 18cm. 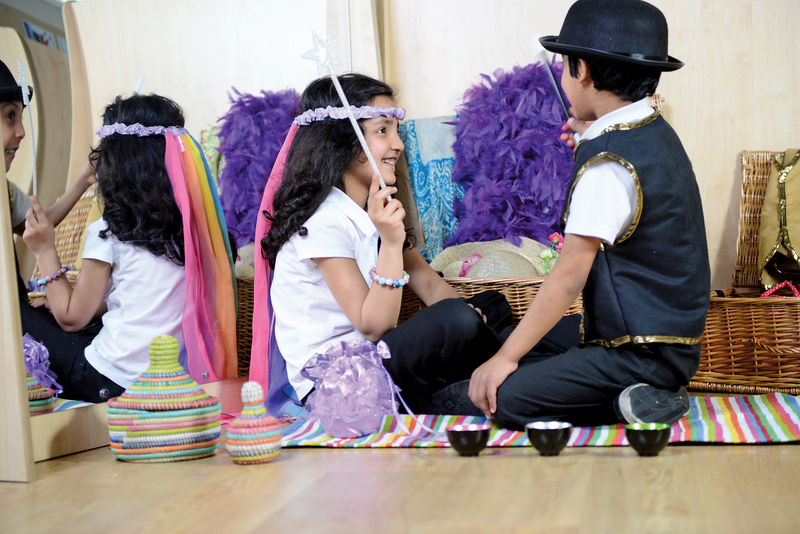 This set of magical props will inspire children to imagine faraway lands and mystical places. 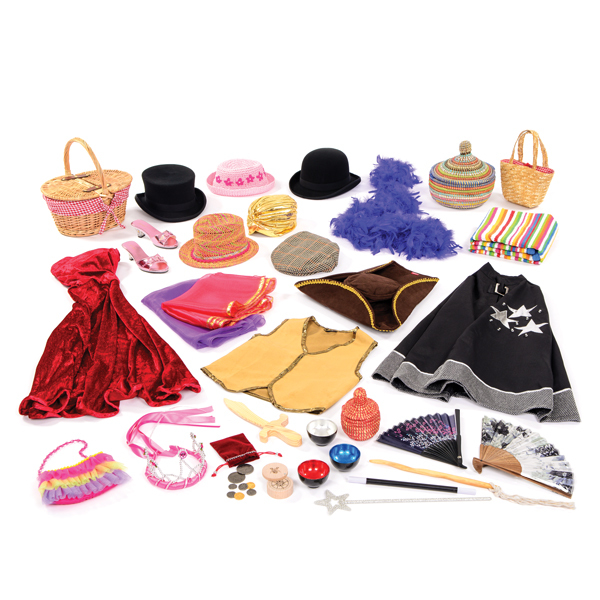 Pirate Role Play Collection – Extend opportunities for role play with this great collection and enrich storytelling, collaborative play and language development. Featuring a Pirate sabre, Pirate Hat, brown waistcoat with gold trim, red velvet pouch, set of mixed coins and a wooden compass. Set of Glamourous Accessories – including a feather boa, 2 x floral fans, tiara, frilly colourful handbag and pink heels, these accessories are perfect for putting on a show, marrying a prince or perhaps going to the Oscars! Set of Role Play Wraps – These large role play wraps are a perfect addition to your role play fantasy make believe area. 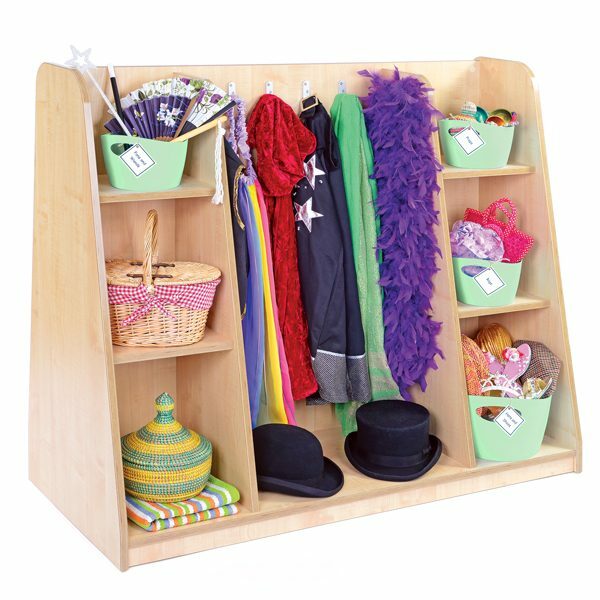 Featuring a variety of colours, these open ended resources can be used as capes, scarfs or draped over our role play frame to create a setting of choice.